Basics are the foundation of farm profit. That’s Tom Kilcer’s takeaway after over 40 years of working as a forage agronomist and researcher. Kilcer currently has his own consulting and research business, Advanced Ag Systems, in Kinderhook, N.Y. In his most recent newsletter, he outlines the following “must do’s” to keep margins as wide as possible given the current low prices. 1. Everything begins with optimum soil fertility. That may mean additional fertilizer, but it could also mean cutting unneeded fertilizer purchases. 2. 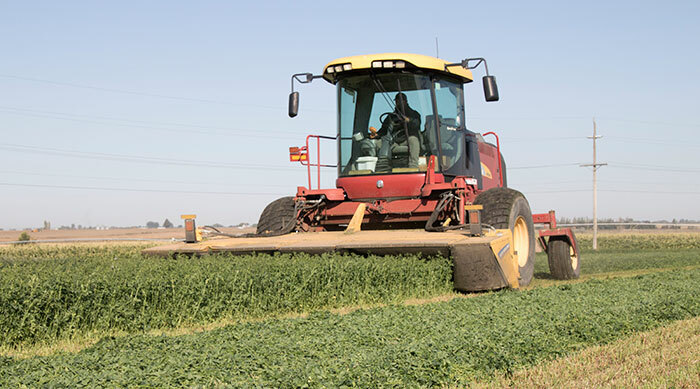 Time first-cut alfalfa harvest by the physiological maturity of the plant, not a date on the calendar. This involves getting out in the field and monitoring progress. 3. Cut and keep the forage in wide swaths to speed drying and conserve forage quality, especially energy value. Strive for 80 percent or more of the cutting width. 4. Make use of winter annuals such as triticale. The additional yield and excellent forage quality are big bonuses for a crop that fits nicely into a dairy’s crop rotation. 5. Use proven bacterial inoculants when harvesting haylage and silage to enhance fermentation and forage quality. “For making cheese, yogurt, ethanol, and other fermented products, the bugs doing the job are carefully selected for optimum results. So it is with silage,” Kilcer says. 6. If you store forages in bunkers or piles, take off only what you need for the current feeding. Don’t leave a pile of loose forage on the floor for the next feeding. Between feedings, this forage can heat and burn off valuable nutrients. “Little things make a difference, especially when we are dealing with the basics,” Kilcer concludes.